Researchers have identified a promising new avenue to explore in the search for stroke treatments, after translating findings from Alzheimer's disease. Professor Lars Ittner and Dr Yazi Ke at University of New South Wales and NeuRA had already established that in Alzheimer's disease, memory deficits and early deaths were tau-dependent. "That's where our paper has implications beyond mouse model molecular work. 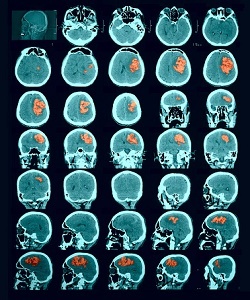 Drug development in this space should consider stroke as a disease that you can treat by targeting tau," Dr Ke added. The paper, with first author Dr Mian Bi and co-senior author Dr Ke, is the first to show a direct role of tau in brain damage after stroke. It demonstrates profound protection from brain damage, of more than 90%, in the absence of tau. Tau has been eyed as a therapeutic target in Alzheimer's disease for several years, and Professor Ittner is hopeful that work in that area can also advance research on stroke. But he cautions these findings were made in mouse models only, and that pathways to therapies take decades. "This cannot yet be directly translated to therapy, but what it opens up is a new kind of thinking about the mechanisms that lead to brain damage after stroke, and as such, opens new avenues to develop therapies in the future." "Around 10 years ago the drug development field in stroke was very hot, but most therapeutic stroke trials came to an end in failure. "Avenues to therapy are very long, but this might re-start interest in the field with a new direction that hasn't been tried before. It's a bit of light after all the past failure."